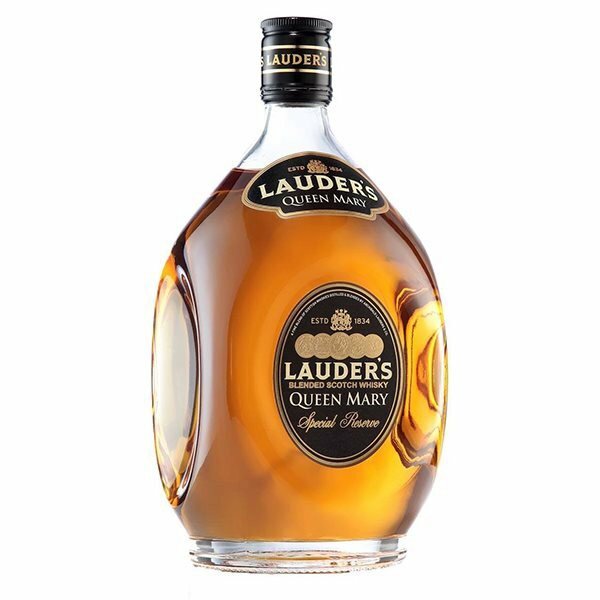 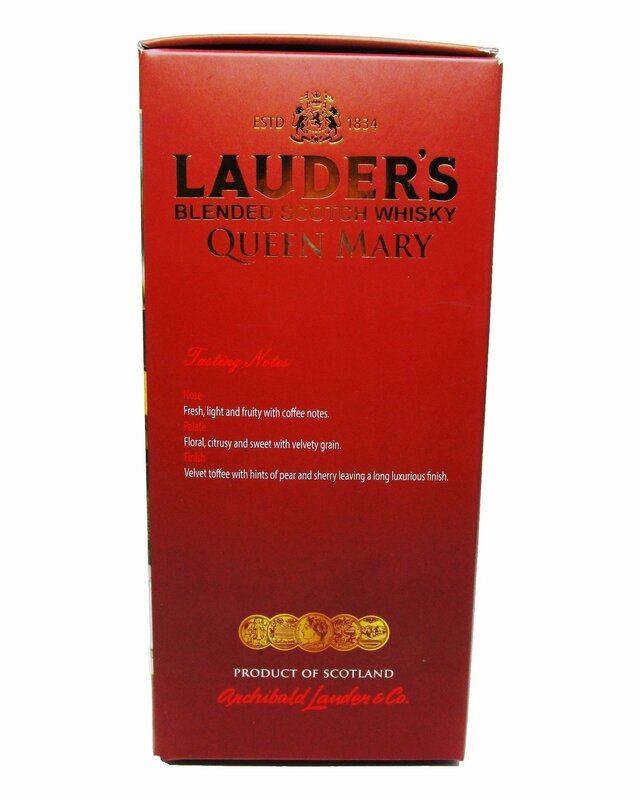 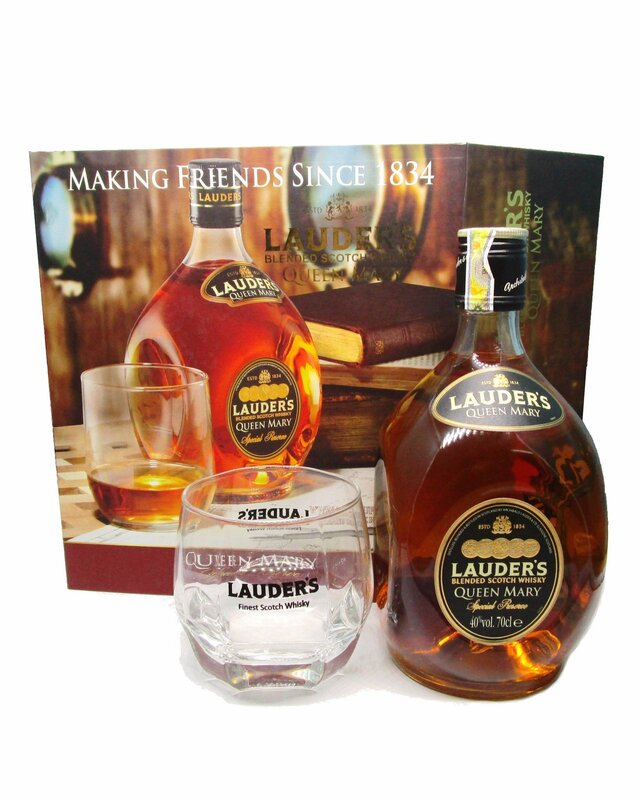 The Limited Edition Gift Box includes: A hardcover box, a bottle of Lauder’s Queen Mary, and a Whisky glass with the “Lauder’s – Finest Scotch Whisky” logo on it (see last photo). 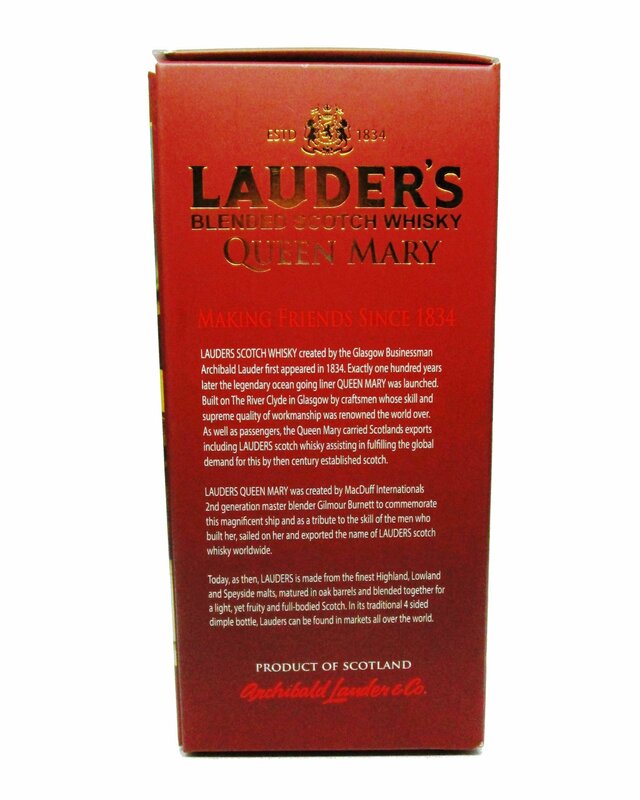 LAUDER’S QUEEN MARY celebrates Scotland and Glasgow’s proud engineering past. 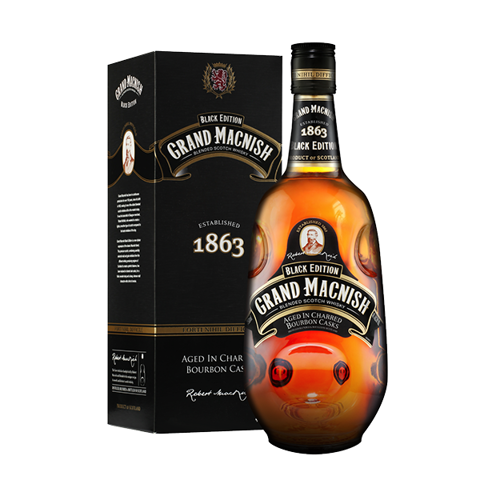 At the time when Archibald Lauder began selling his whiskies in 19th century Glasgow, the city was the engineering capital of the world. 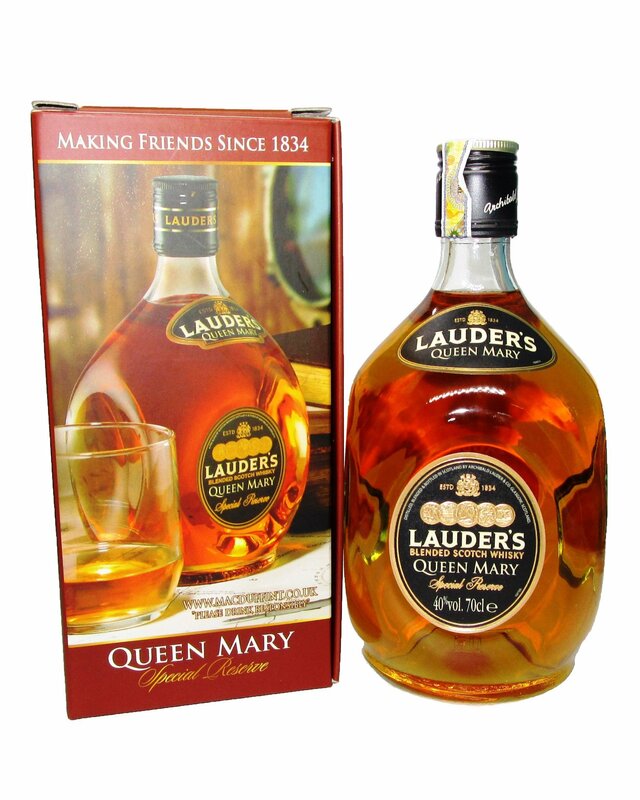 Iconic vessels such as the Queen Mary and Queen Elizabeth were among the estimated 25,000 vessels built on the river Clyde during its heyday. 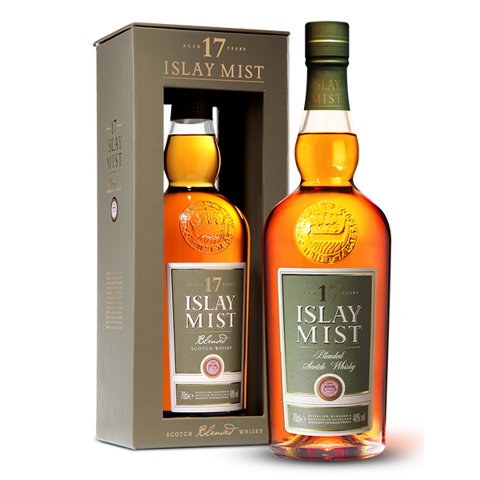 Many of these Clyde built ships, by exporting around the world, helped make Scotch whisky the world’s favourite spirit. 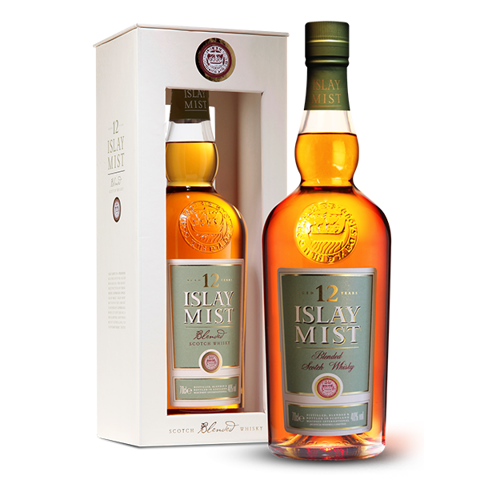 Our Master Blender selected the finest whiskies from the Highland and Speyside regions. 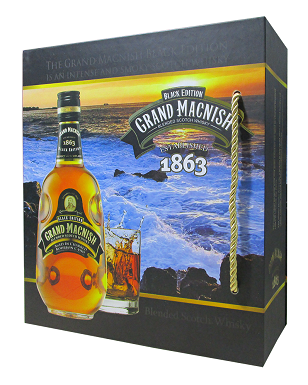 Maturation in Bourbon and Sherry Casks gives this blend a perfectly balanced finish.